The Indian arm of American auto giant Ford officially reviled the features and specifications of its upcoming premium SUV named as New Ford Endeavour on its website. 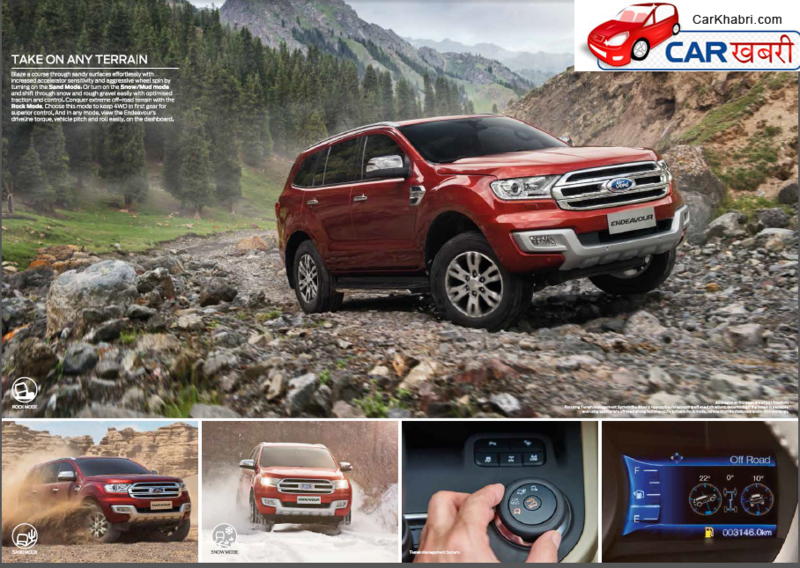 As reported before viacar maker that new ford Endeavour will make its Indian Debut in January, 2016 and with details out now on the web,has given rise to new rumours that forthcoming SUV will be launched on January 19, 2016 and is expected to be priced under the range of Rs. 22-25 lakh. In its third generation Endeavour will be powered by 2 diesel mills, i.e. 2.2-litre diesel engine boosting the power of 160PS and a peak torque of 385Nm, equipped with an alternative of either a six speed manual gearbox or a six speed automatic gearbox, while 3.2-litre diesel engine will be mated to a six speed automatic gearbox developing the force of 200PS and torque of 470 Nm. Both the mills will be available with an option of 4×2 and 4×4 drive types. 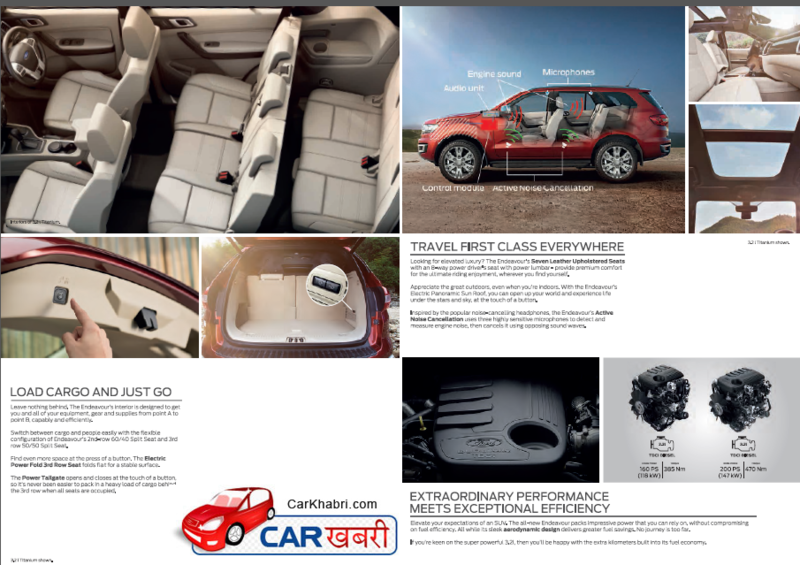 Upcoming full-sized seven-seater SUV is developed on all new ladder-on-frame chassis featuring a coil spring at the rear wheel which helps in shortening the length of the vehicle and will be will be accessible in six colours, i.e. Diamond White, Panther Black, Smoke Grey, Moondust Silver, Golden Bronze and Sunset Orange. Once launched in India, the premium SUV will rivals with Toyota Fortuner, Mitsubishi Pajero Sport, SsangYong Rexton and Hyundai Santa Fe. Ford Endeavour 2016 reaches the doors of Dealers.